There are so many fabulous calendars out there, I could probably feature one for each day of next year! Instead I have chosen 12 calendars for the 12 months. I just love the bubble wrap calendar…although in a house full of children I can’t imagine it lasting 20 minutes! 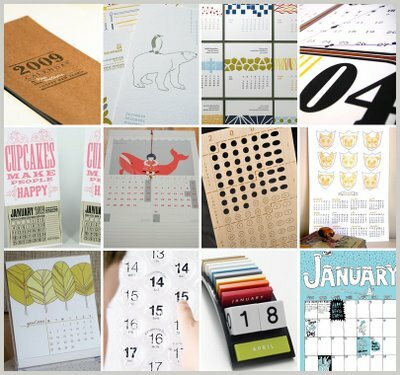 Whether your tastes are whimsical, modern or somewhere in between there is sure to be a calendar out there for you – and possibly right here!